"A gifted, experienced teacher/practitioner, Paul Gordon's work evolved from a skilled orthopedic perspective to a remarkably effective, gentle, biodynamic practice. he marries science with art, creating something very special." Paul has extensive experience in Rolfing Structural Integration, Myofascial Release, Craniosacral Therapy, Somatoemotional Release, Visceral Manipulation and Biodynamic Craniosacral Therapy and Bodywork. 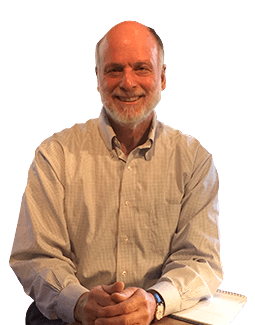 He began Rolfing in 1977 and became a Rolf Institute Teacher in 1986. He has a graduate degree in Clinical Anatomy from Lesley College and spent a year as a special student at Harvard Medical School. He joined the staff of a major Boston orthopedic group and in 1988 was elected a Fellow of the American Back Society. Paul has trained nearly three thousand therapists in the US, Europe and South America. He was team Rolfer with the 1992 America’s Cup. Paul has years of experience relieving pain, assisting free and easy movement and working with the emotional issues that can compromise healing. The biodynamic perspective encourages the body’s inherent capacity to self-correct. Because the deep, lasting effect comes from the inside out, it is not invasive; there is no physical pressure or discomfort and clients remain fully clothed.